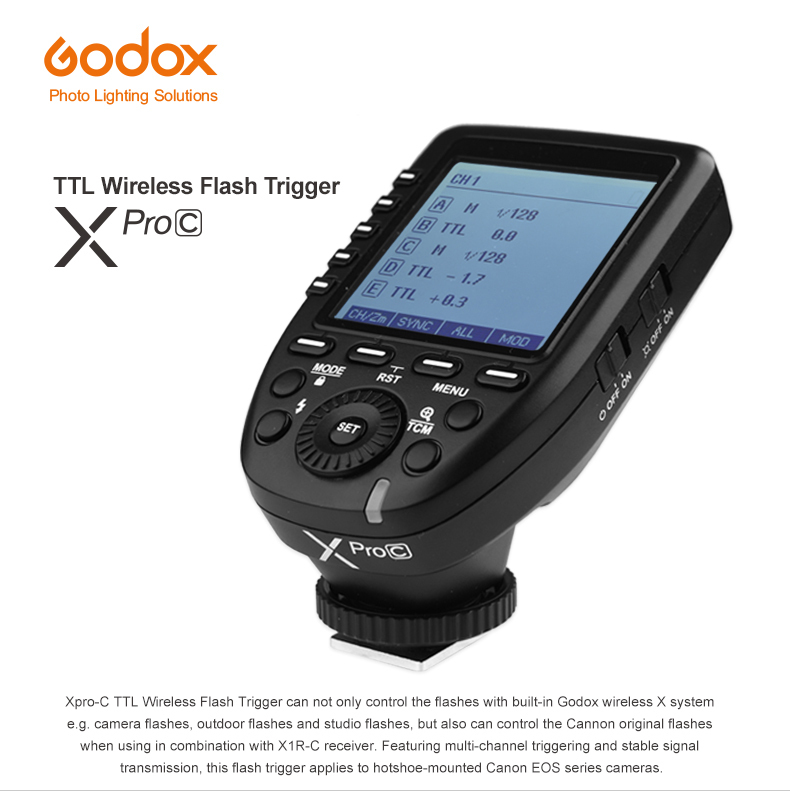 Using the 2.4 GHz Godox X wireless radio system, the XProC TTL Wireless Flash Trigger can be used to effectively and reliably trigger flashes from up to 328' away, and when used with compatible flashes and receivers users will have the added benefit of remote power control. 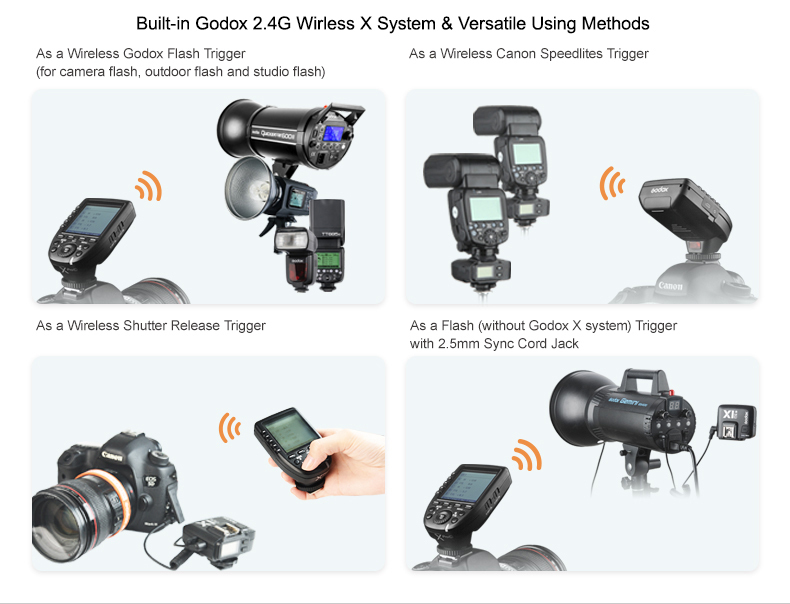 Using the 2.4 GHz Godox X wireless radio system, the XProC TTL Wireless Flash Trigger can be used to effectively and reliably trigger flashes from up to 328' away, and when used with compatible flashes and receivers users will have the added benefit of remote power control. 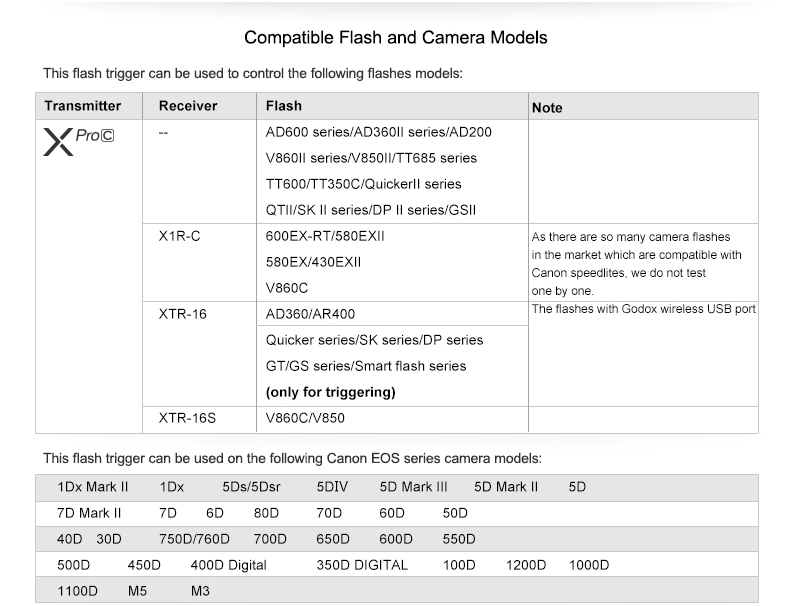 This model is compatible with Canon's E-TTL / E-TTL II system, including support for high-speed sync up to 1/8000 second, and offers advanced control options along with settings for working with system-specific features. 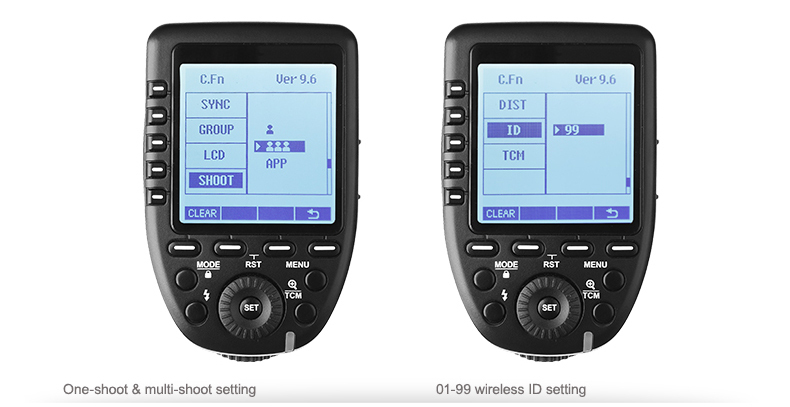 For ensuring maximum reliability and control, users can set up 16 groups on one of 32 channels and can then access 99 wireless ID settings for limiting interference from other nearby systems. 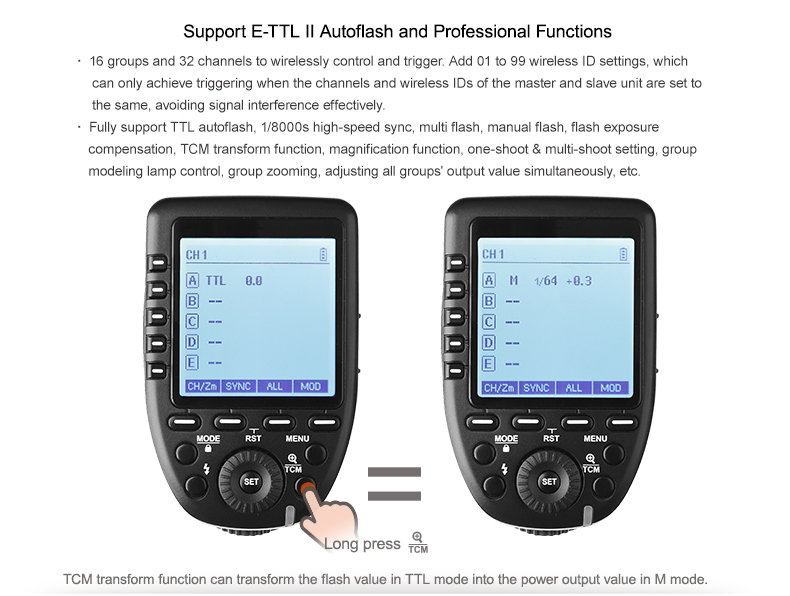 In addition to basic manual and TTL control modes, other settings are available, including stroboscopic flash and second-curtain sync. 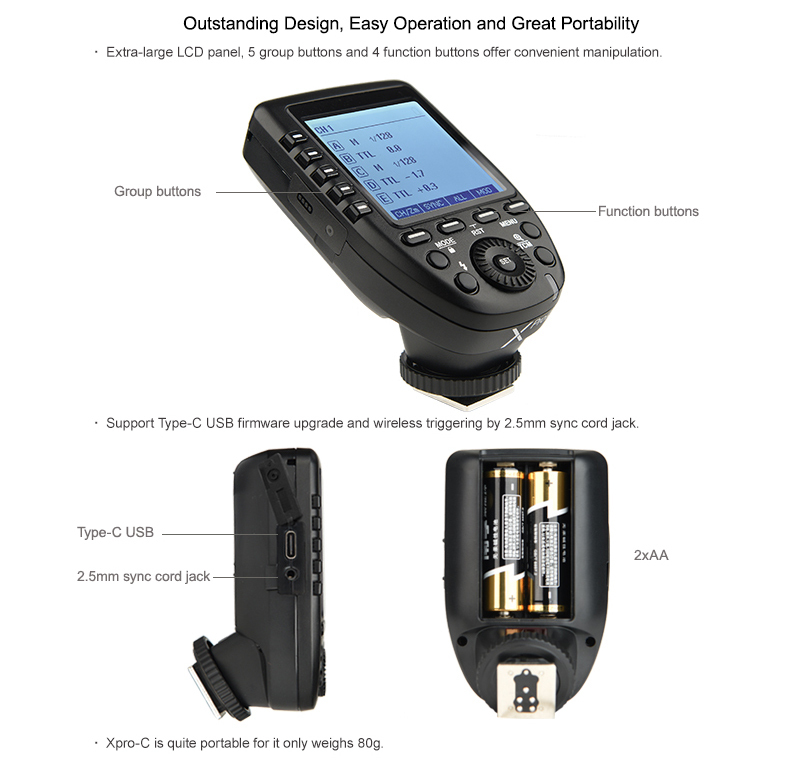 Users can adjust flash exposure compensation from -3 to +3 EV as well as wirelessly control the modeling light, zoom setting, and more. 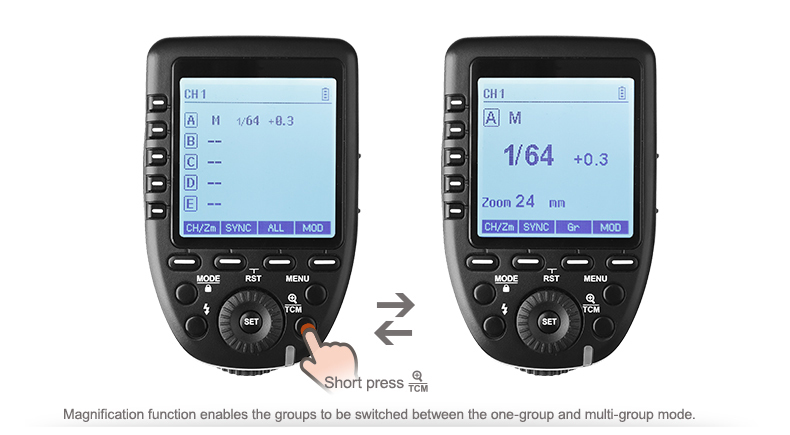 For using the XProC with other camera systems there is a 2.5mm sync port that supports triggering via a wired connection. 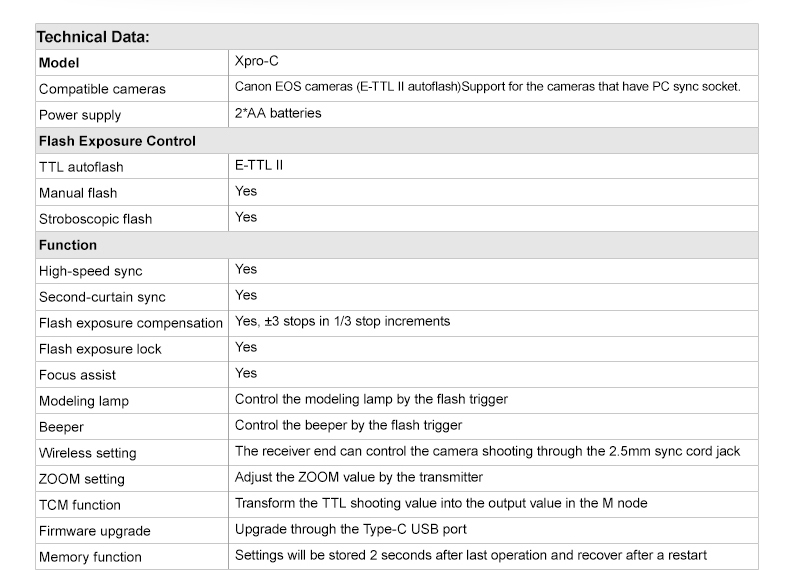 Also, a USB Type-C port is present for firmware updates and the devices run on two AA batteries for convenience. This product needs either a camera or atleast one speedlite to operate.